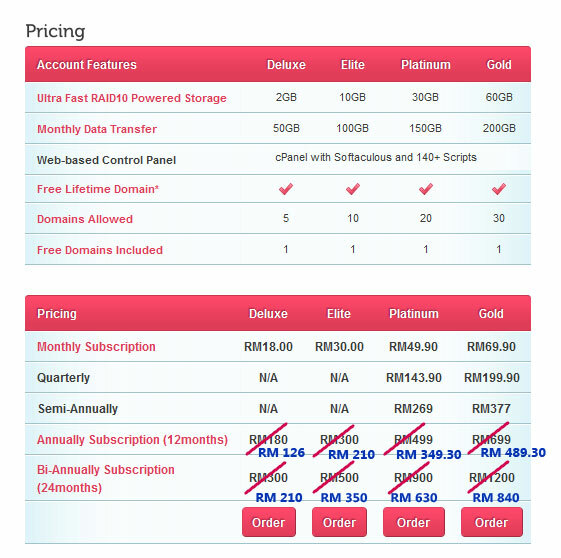 Serverfreak Special Promo In Conjunction With CloudFlare Partnership - WOW - Connect with ServerFreak "Best Hosting Provider in Malaysia" WOW – Connect with ServerFreak "Best Hosting Provider in Malaysia"
Don’t Forget To Key In Coupon Code : CF30off to Enjoy The Discount ! At Serverfreak, we always strive to keep finding ways to ensure that our customer’s websites are served at the fastest speed possible. Recently Serverfreak has officially partnered with CloudFlare, a CDN (Content Delivery Network) service that makes any website faster, safer and smarter. What’s more interesting is that we are offering CloudFlare service FREE to all Serverfreak shared hosting customers! That’s not all we have done for our customers, we have even make activation of CloudFlare simple, customers would only need ONE CLICK activation of CloudFlare service through their cPanel account . Once your domain is CloudFlare enabled, CloudFlare re-routes your sites’ traffic through its global network; filtering out threats and caching contents. This saves your bandwidth & resources while speeding up your website load times. Don’t wait further, ORDER Serverfreak cPanel Shared Hosting Now to Take Advantage of CloudFlare’s Content Delivery Network for FREE ! Terms & Conditions of Serverfreak Promotion ! This promotion is applicable for new signup or new account signup for existing client of cPanel Shared Hosting Deluxe, Elite, Platinum & Gold package only. This promotion is applicable for yearly subscription of the above packages only. FREE Domain Registration applies to the following extensions only: .com/.net/.biz/.info only. This promotion is valid until 4th November 2011.